Published: October 26th, 2017 by Simon. Filed in Bathroom and tagged bathroom, Bathroom accessories, bathroom mirror, bathroom tiles, Freestanding Bath. Bathrooms are one of the most functional and most used rooms in any home. However, many older bathrooms have been designed in the same dull and boring way, in traditional white. White bathrooms may be functional, but they certainly don’t look (or feel) like anything special. If you’re planning an upcoming bathroom renovation, you have a chance to break away from the traditional white design. But if you’re not renovating, there are still ways to add some a little colour into your bathroom. Whether you’re looking to add a little colour into a new bathroom or an existing bathroom, you’re in luck. As the head of purchasing at Ross’s Discount Home Centre, I help customers choose bathroom products in Perth every day. And today, I’ll offer some product suggestions that will introduce colour in your bathroom. Adding colour to your entire bathroom may be overkill and a bit too much to suit your tastes. Instead of adding colour everywhere, you can create an feature wall in colour, while keeping the rest in traditional colours. The trick to creating a fantastic feature wall is by choosing the right wall, which is usually the one opposite the door. To create an feature wall, you’ll need to shop for mosaic tiles when you’re out buying bathroom products in Perth. For this, take a look at our Carrara mosaic tile, which is very popular choice with our customers. 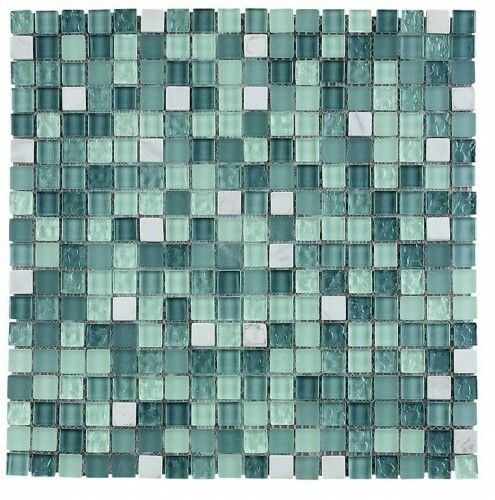 This gorgeous mosaic tile will do wonders to inject colour into your bathroom. Another way to introduce colour in your bathroom is by mixing natural finishes with bright accessories. For this, choose natural tiles such as marble, concrete or stone and pair them with brightly coloured accessories. This allows you to create a refined, yet colourful look. You’ll find a range of bathroom accessories and marble tiles here at Ross’s Discount Home Centre. 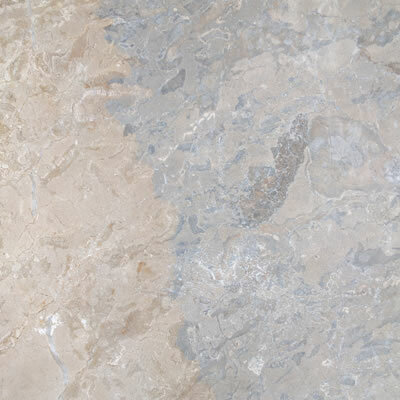 In particular, I’d like to recommend our Cream Stone marble tile. This soft and neutral tile colour will do very well to accentuate bright coloured bathroom accessories. Pastel shades are the latest design trend and they can be used in any area of your home, not you’re your bathrooms. But, when it comes to your bathroom, you can contrast pastel shades with a timber-finish vanity for an excellent effect. Natural timber perfectly complements pastel shades and add a subtle touch of colour. And, for an excellent timber-finish vanity, consider our elegant Belford Vanity Unit. It features an oak finish and is available in a range of sizes to meet your design requirements. One of the easiest ways of adding colour into your bathroom is by getting a statement bath. 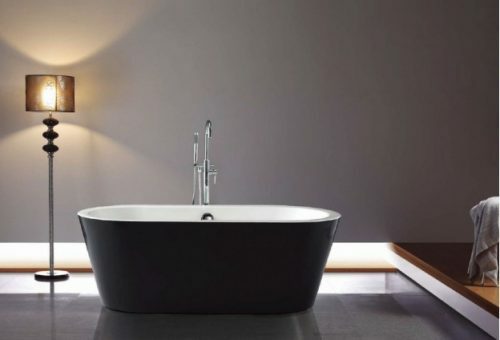 Freestanding baths the perfect choice for a statement bath and are available in a range of designs, styles and colours. Not only will a statement bath inject colour, but it will also become a focal point of your bathroom. 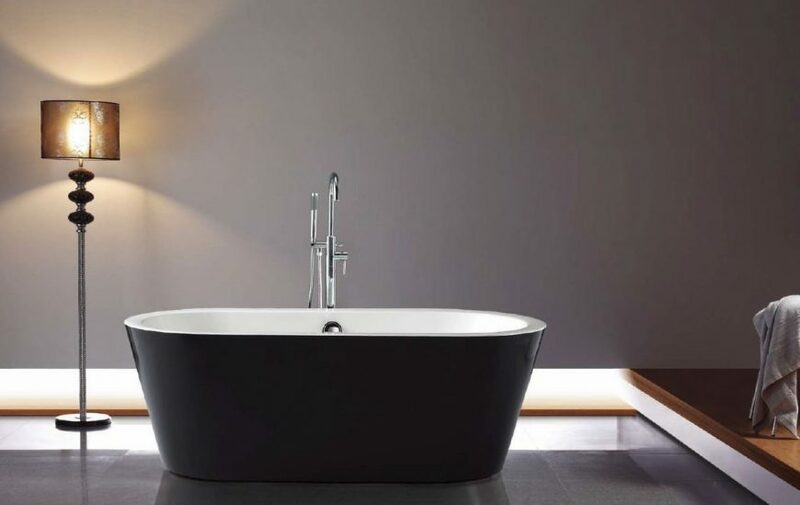 If you’d like to purchase a statement bath, I recommend you to consider our Galaxy Black Oval Freestanding Bath. This gorgeous freestanding bath offers the perfect blend of style and practicality and is perfect for your bathroom. Lighting in bathrooms is incredibly important, both from a functional as well as a decorative standpoint. When used properly, lighting can soften the colours of painted walls and can yield interesting design effects. You can combine lighting with mirrors to reflect light and colour within your bathroom. When you’re out shopping for bathroom products in Perth, make sure to add a large sized mirror to your shopping list. 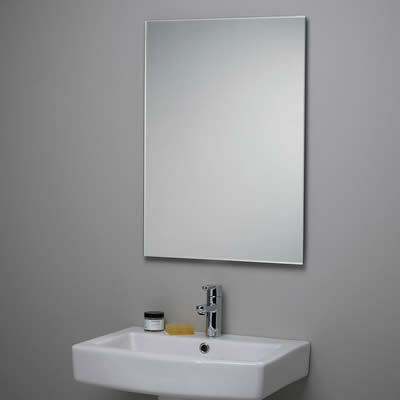 I’d like to recommend our Polished Edge Mirror, which is available in different sizes to suit your personal needs. For other ideas on how to add colour to your bathroom be sure to read my earlies post, ‘4 alluring non-white bathroom design ideas’. There are several ways to add some colour into your bathroom. Creating an accent wall, mixing natural finishes with bright accessories, combining pastel shades with timber vanities, adding a statement bath and using lighting and mirrors are great ways to add subtle touches of colour in your bathroom. And, for the best quality bathroom products in Perth at affordable prices, look no further than Ross’s Discount Home Centre. 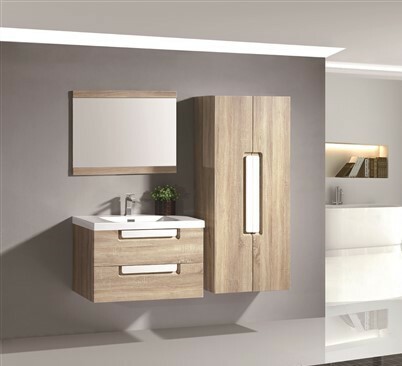 We have a large range of bathroom tiles, vanities, baths, mirrors and other bathroom products, all in stock and ready for immediate dispatch. Visit us in Guildford or browse our online store to take a look at our bathroom products today!